"09/29/2016 Sold a Single Family home in 2016 for approximately $425K in Loma Linda, CA. Local knowledge: Process expertise: Responsiveness: Negotiation skills: With her knowledge of the market and expertise, Cristina guided us through the process of selling our home. As a result we sold our home quickly and smoothly. She is proactive and stays on top of things and she will use all the tools in her arsenal to sell your home for what it is worth!! I would recommend her to anyone"
"Highly likely to recommend 07/25/2016 - Sold a Single Family home in 2016 for approximately $375K in Rialto, CA. Local knowledge: Process expertise: Responsiveness: Negotiation skills: Christina is a Very honest knowledgable and helpful person she takes the time to explain the fine Print that most sellers or buyer do not understand, I would gladly recommend Christina"
""I found Cristina as the listing agent of the property I would like to buy. She is a professional who puts clients first and help the purchasing experience very smooth. I am really happy have my first home, I am glad i choose the right agent. Thank You. "Jess, Colton California(Buyer)"
"09/29/2016 - Sold a Single Family home in 2016 for approximately $425K in Highland, CA. Local knowledge: Process expertise: Responsiveness: Negotiation skills: We used Cristina to sell our Home. We needed to have some remodel and upgrades done to bring our home too its full potential. Cristina helped by guiding us on todays trends and where our money would be best spent. She helped us with contractors and kept an eye on the projects that were being done. She was always just a phone call or text away. Our house sold after being on the market for only 14 days. If you are looking for an agent that will go the extra mile for you Cristina is the one. Giving her 5 STARS only touches the surface of the expertise she provide"
""Cristina worked closely with us and made us feel like a priority. She often answered her phone each time I called to speak with her and worked professionally through texts and emails as well. If Cristina did not take my call, she got back to me in a short amount of time, ready to listen and answer all questions of mine. Cristina really locked into what we were looking for in a home. She had a few suggestions of her own that we looked at and considered. We felt very in tune with Cristina every step of the way through our home sale and home purchase. " Ron Vackar (Buyer)"
"06/21/2016 - Sold a Single Family home in 2016 for approximately $475K in Canyon Crest, Riverside, CA. Local knowledge: Process expertise: Responsiveness: Negotiation skills: Cristina met with me at my property, she was prepared to show me what the property was worth based on comparisons of other homes sold in the area. She pointed out the highlights of my property. She presented me with documents to show the process for selling the house. She moved few pieces of furniture around and added accent colors, this made the photos very impressive. She scheduled "open house" sessions immediately. She marketed the property on the internet and other places. I decided to drive by the property during the first open house, there were so many signs on the street and adjacent streets, it was very impressive. She kept me informed of all activities and offers and always returned my calls immediately. She provided me with valuable information at every step of the way. The transaction went smoothly and I was very happy with the results. Cristina is very knowledgeable and professional, but treats you as a friend, she was wonderful to work with. Thanks Cristina." ""I really enjoyed working with Cristina! She was ALWAYS responsive, quick to return calls and professional. Has increditable negociation skills and knowledge of the current market trends. I highly recommend working with her!!!" Aida, Rialto (Seller)"
"Highly likely to recommend 07/07/2016 - Sold a Single Family home in 2016 for approximately $375K in DRNAG, San Bernardino, CA. Local knowledge: Process expertise: Responsiveness: Negotiation skills: She is the best. My first appraisal came in low and she went conventional to get the price up. She sold me the same home a few years back and I had to go back to her to resell again. Great job." 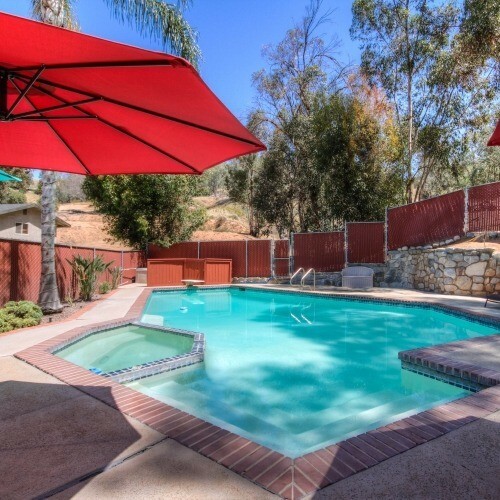 "Highly likely to recommend 06/17/2016 - Sold a Single Family home in 2016 for approximately $450K in Highland, CA. Local knowledge: Process expertise: Responsiveness: Negotiation skills: I had such a wonderful experience working with Cristina. My house was on the market for 7 months with very little activity and it was very discouraging. I was hesitant in re-listing with another agent. She was referred to me by a good friend and had a plan of action for us that proved to be very"
"I have commended and recommended Cristina to everyone. She was amazing in handling any of the difficulties that unexpectedly arose. She is a top professional with great personal skills as well.Cristina is really great at her job and believe that she was perfect in negotiating the proper details of our sale. Nancy Belk, Redlands(Seller)"
"Sold a Single Family home in 2016 for approximately $400K in Rialto, CA. Local knowledge: 5 star Process expertise:5 star Responsiveness: 5 star Negotiation skills: 5 star Highly recommend Cristina. I met with her first & she was very responsive to my needs. Then she had to pass the test with my husband, which is not easy. He was very pleased with her knowledge & skills. She used her skills well taking pictures, promoting our house. We were fortunate to sell our house in less than 1 week. The way appointments were set up was very convenient . She responded to all our calls & answered all our question. Very honest. So glad we used her. Had a bad experience with a realtor previously but Cristina was very easy & pleasant to work with"
"Cristina did an outstanding job at selling our home and helping us to purchase a new one. She was able to get us in at a good rate and her know how of the business saved us a ton of money! Highly recommend her. Chris and Terri, Highland and Redlands (Seller and Buyer)"
"Cristina became familiar with my property and my goals in the Fall of 2014. Then she called me in February 2015 to say that she could sell my house for what I needed to accomplish my goals. We listed in March. I was in escrow a few weeks later at our targeted price. The house closed by June 1st. Mission accomplished. Thanks to Cristina for her careful attention to detail and her realty skills. Woo hoo!" "Super friendly realtor, called her because I was having issues selling my house ( taking too long to sell ) she was able to get me three offers within 48 hrs!!!!!!! WOW I could not ask for more! She takes the extra step to get you where you need to be. Completely honest which I like in a realtor extremely rare to find, I've tried many Realtors that only wanted me for my money. Extremely reliable and keeps you informed .If ever she didn't answer her phone she would get back to me extremely quickly. Highly recommended or buying or selling your home!!" ""When working with Cristina as a first time homebuyer, I found her to be: personable, professional, patient, quick to respond, and always willing to fit me in her schedule with the numerous properties I requested to view. Cristina was very accomadating and knowledgeable when several of my family members would "tag along" to help make sure a property was the best fit for me. She answered any and all questions, or she would reseach the information and then get back to me with and answer in a timely manner. I appreciate that Cristina was never pushy, she was more than willing to make offers on any house I was interested in, and when the right house came along she seems as happy as I was about the purchase of my first home. I highly recommend her." 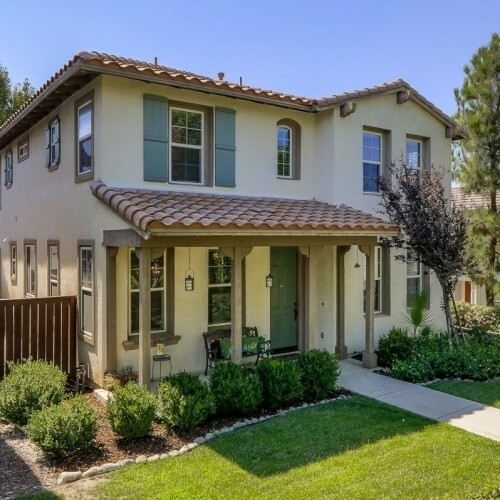 Brenda, Grand Terrace (Buyer)"
""Cristina Caministeanu listened to our situation and took up a genuine interest in seeing that we could sell our existing house and find the dream home we desired. My wife and I could not have been happier with our choice to go with Cristina as our agent. Cristina was available to us each day to answer all of our questions and to ensure a smooth home sale and home purchase. She was able to juggle all aspects of our sale/purchase, working closely with us and communicating with the escrow department as well as our lender. 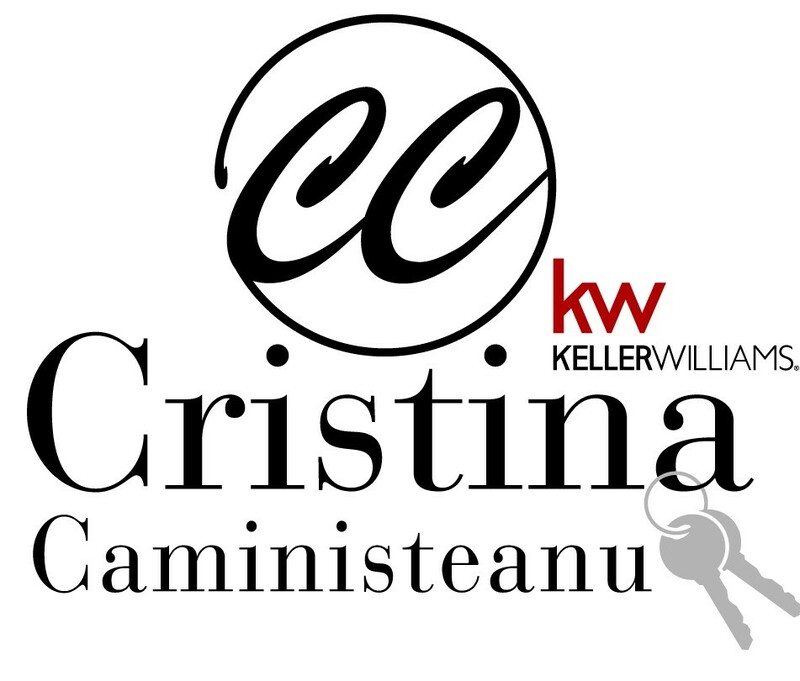 If you want someone you can trust who is readily available and truly has your best interests at heart, Cristina Caministeanu will see to it that your home sale/purchase is a positive experience in all regards. Simply put, Cristina is an ultimate professional. She checks all the boxes for what we desired both as a listing and purchasing agent." 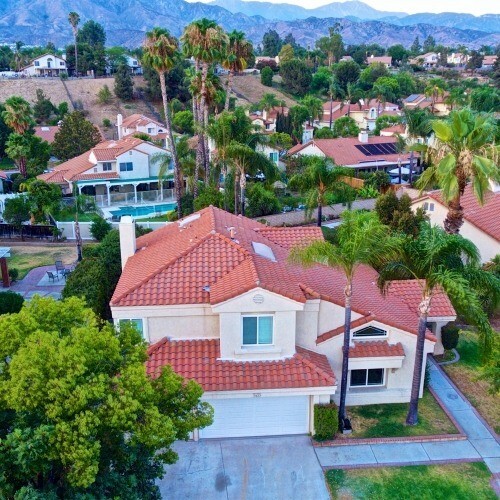 Ron V, Redlands CA(Seller)"
""I have really enjoyed working with Cristina - she was very knowledgeable, professional and helpful throughout our transaction. Cristina was the listing agent for the townhouse that me and my family has decided to buy in Grand Terrace, CA Highly recommend her." Daniel, Grand Terrace (Buyer)"
"Cristina is an excellent Realtor, she's a good negotiator, got me top dollar for my home. She's easy to get a hold of. Always goes above and beyond. GII Equity,LLC (Investor)"
""Cristina is very professional and great negotiator to bring the best value for a seller. She took care of ALL the requirements for me, worked with my relocation agency and made my transaction seamless. I strongly recommend Cristina for all your needs." Ash, East Highland (Seller)"
""Cristina was great. We credit her with making the deal happen. We really appreciated that she was easy to get ahold of by text. Sending us documents to sign on DocuSign was a nice convenience. Also, her motivation to get the house sold for a good price was awesome. We couldn't be happier. "Rob Quigley, Colton(Seller)"
""Excellent at her job. Has the ability to find properties before they come on the market, which most agents don't have. Knows the market and gave me all the information without ever making me feel pressured. I highly recommend her and will work with her in the future." Jonathan, Loma Linda (Buyer & Seller)"
"*Sold a home in 2017 in San Bernardino, CA. * Cristina is awesome she sold my house in 3 days even tho it was not in good condition she still got me the price I was looking for also she was on top of the whole process never left me in the dark she is good at what she does and she gave me a great percentage rate she deserves 10 stars"
"*Bought a home in 2017 in Smiley Heights, Redlands, CA 92373. * Working with Cristina was a wonderful experience and made my first time buying a home a smooth process. When I first met her she was easy to talk to and understanding. She listened to what I was looking for and gave her honest opinion of what would and wouldn't work. She never pressured me to buy now, explained every step in detail, read over the fine print and patiently answered all my questions. She is very responsive and was always available resolving any concerns. She got things done, never delaying any step of the process. I needed a termite inspection, she arranged for it all. She gave me guidance when deciding what to offer that was realistic and sounded fair. Anyone would be lucky to work with her. Thanks for everything Cristina!" "*Bought and sold a Condo home in 2016 in Highland, CA. * Absolutely a pleasure working with Cristina. I have used her services to buy and sell on more than 2 dozen transactions. I have dealt with many agents in many states on several dozen properties, and Cristina by far the best of the bunch. I only wish she could help me in other states. Cristina knows her field like few do, and will always steer you right while having your back 100%. Thanks for a great job over many years, A+++++"
"Cristina helped guide us and educate us on every aspect of purchasing our first home. Very attentive to our needs, questions, and requests. She eased the anxiety of the many steps from start to finish explaining terms and what to expect as well as insightful suggestions. Such a warm and genuinely lovely person, realtor, and friend. She even came with new home warming gifts a beautiful potted tree, welcome mat, and chocolates for the girls! Truly thoughtful and way beyond our expectations!!! Thank you Cristina and your lovely team at Prudential John, Rita, and Chantelle for assisting us to have our first dream home! Highest recommendations and appreciations from our family...Lumi, Larissa, Rebecca, Breanna"
"*Sold a Single Family home in 2016 for approximately $425K in Loma Linda, CA. * With her knowledge of the market and expertise, Cristina guided us through the process of selling our home. As a result we sold our home quickly and smoothly. She is proactive and stays on top of things and she will use all the tools in her arsenal to sell your home for what it is worth!! I would recommend her to anyone." 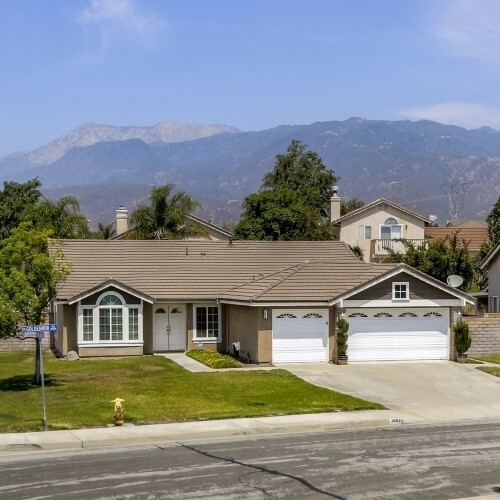 "*Sold a Single Family home in 2016 for approximately $425K in Highland, CA. * We used Cristina to sell our Home. We needed to have some remodel and upgrades done to bring our home too its full potential. Cristina helped by guiding us on todays trends and where our money would be best spent. She helped us with contractors and kept an eye on the projects that were being done. She was always just a phone call or text away. Our house sold after being on the market for only 14 days. If you are looking for an agent that will go the extra mile for you Cristina is the one. Giving her 5 STARS only touches the surface of the expertise she provides." "*Sold a Single Family home in 2016 for approximately $400K in Rialto, CA. * Highly recommend Cristina. I met with her first & she was very responsive to my needs. Then she had to pass the test with my husband, which is not easy. He was very pleased with her knowledge & skills. She used her skills well taking pictures, promoting our house. We were fortunate to sell our house in less than 1 week. The way appointments were set up was very convenient . She responded to all our calls & answered all our question. Very honest. So glad we used her. Had a bad experience with a realtor previously but Cristina was very easy & pleasant to work with." "*Sold a Single Family home in 2016 for approximately $375K in Rialto, CA. * Christina is a Very honest knowledgable and helpful person she takes the time to explain the fine Print that most sellers or buyer do not understand, I would gladly recommend Christina"
"*Sold a Single Family home in 2016 for approximately $375K in DRNAG, San Bernardino, CA. * She is the best. My first appraisal came in low and she went conventional to get the price up. She sold me the same home a few years back and I had to go back to her to resell again. Gretchen job." "*Sold a Single Family home in 2016 for approximately $475K in Canyon Crest, Riverside, CA. * Cristina met with me at my property, she was prepared to show me what the property was worth based on comparisons of other homes sold in the area. She pointed out the highlights of my property. She presented me with documents to show the process for selling the house. She moved few pieces of furniture around and added accent colors, this made the photos very impressive. She scheduled "open house" sessions immediately. She marketed the property on the internet and other places. I decided to drive by the property during the first open house, there were so many signs on the street and adjacent streets, it was very impressive. She kept me informed of all activities and offers and always returned my calls immediately. She provided me with valuable information at every step of the way. The transaction went smoothly and I was very happy with the results. Cristina is very knowledgeable and professional, but treats you as a friend, she was wonderful to work with. Thanks Cristina." "*Sold a Single Family home in 2016 for approximately $450K in Highland, CA. * I had such a wonderful experience working with Cristina. My house was on the market for 7 months with very little activity and it was very discouraging. I was hesitant in re-listing with another agent. She was referred to me by a good friend and had a plan of action for us that proved to be very successful! Within 30 days our house received multiple offers and was sold! I would highly recommend her because she had no limits in what she can do!!" "*Sold a Single Family home in 2015 for approximately $250K in Hunter Industrial Park, Riverside, CA. * Super friendly realtor, called her because I was having issues selling my house ( taking too long to sell ) she was able to get me three offers within 48 hrs!!!!!!! WOW I could not ask for more! She takes the extra step to get you where you need to be. Completely honest which I like in a realtor extremely rare to find, I've tried many Realtors that only wanted me for my money. Extremely reliable and keeps you informed .If ever she didn't answer her phone she would get back to me extremely quickly. Highly recommended or buying or selling your home!!!" 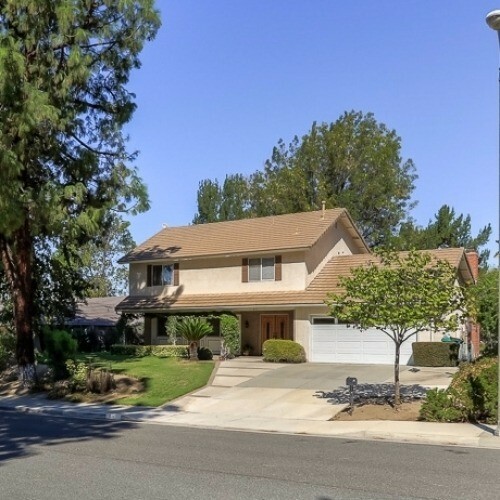 "*Sold a home in 2015 in Crown Jewel, Redlands, CA 92374. * Cristina became familiar with my property and my goals in the Fall of 2014. Then she called me in February 2015 to say that she could sell my house for what I needed to accomplish my goals. We listed in March. I was in escrow a few weeks later at our targeted price. The house closed by June 1st. Mission accomplished. Thanks to Cristina for her careful attention to detail and her realty skills. Woo hoo!" "*Showed home in 2016 in Redlands, CA. * Being new to Southern California moving from Orlando, FL I knew nothing of the So Cal area. I found Cristina, conveyed what I was looking for and she was spot on with suggestions for me. She showed me the beautiful area of Redlands and provided additional areas that I may search on my own. She made this intimidating process in a new area very comfortable and stress free. Cristina is very easy to talk to, professional, attentive, and responds rather expeditiously considering her work load. When I do decide to pull the trigger on a property here in California, now that it looks like I'll be staying awhile, she WILL be my agent." 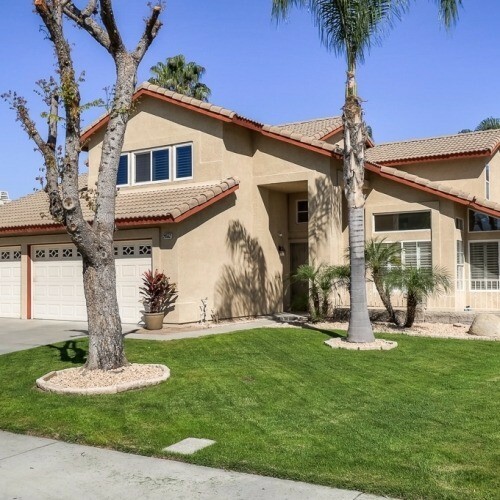 "*Bought a home in 2015 in West Colton, Colton, CA 92324. * I found Cristina as the listing agent to a property I am considering to buy. Cristina was so friendly to talk with and very knowledgeable. She is very professional and was always on top of everything. She was very responsive on all my text, email or any of my inquiries. She makes the the entire buying process runs very smoothly and easy. I am really glad that I choose her as my agent. Thanks!!" "*Sold a home in 2014 in Terrace, Rialto, CA 92376. * I really enjoyed working with Cristina! She was ALWAYS responsive, quick to return calls and professional. Has increditable negociation skills and knowledge of the current market trends. I highly recommend working with her!!!" 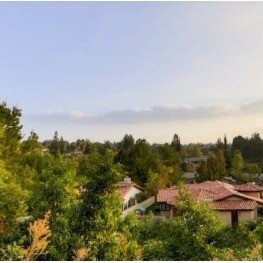 "*Bought and sold a Single Family home in 2014 for approximately $325K in Amber Hills, Highland, CA. * Excellent at her job. Has the ability to find properties before they come on the market, which most agents don't have. Knows the market and gave me all the information without ever making me feel pressured. I would highly recommend her." 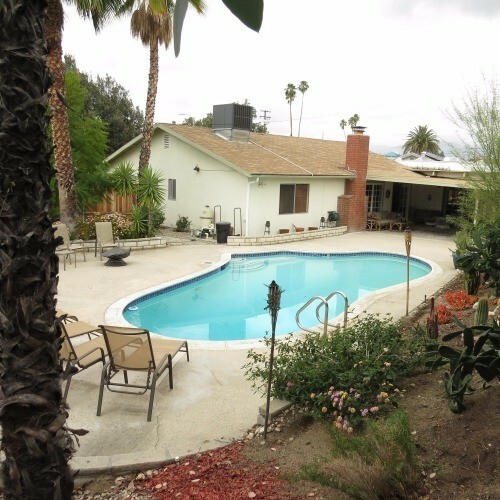 "*Sold a home in 2013 in Amber Hills, San Bernardino, CA 92346. * Cristina is very professional and great negotiator to bring the best value for a seller. She took care of ALL the requirements for me, worked with my relocation agency and made my transaction seamless. I strongly recommend Cristina for all your needs." "*Bought a Condo home in 2012 for approximately $175K in Grand Terrace, CA. * I have really enjoyed working with Cristina - she was very knowledgeable, professional and helpful throughout our transaction. 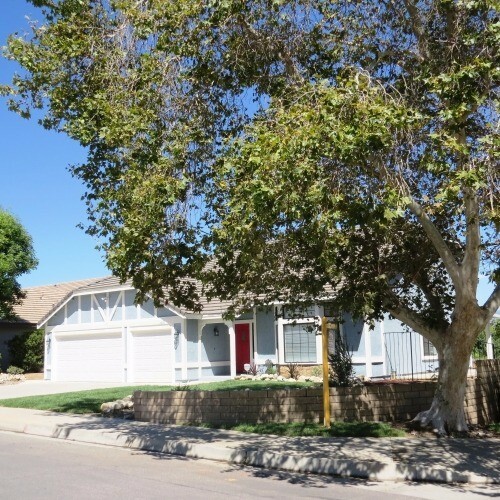 Cristina was the listing agent for the townhouse that me and my family has decided to buy in Grand Terrace, CA." "*Bought a home in 2008 in Grand Terrace, CA 92313. * When working with Cristina as a first time homebuyer, I found her to be: personable, professional, patient, quick to respond, and always willing to fit me in her schedule with the numerous properties I requested to view. Cristina was very accommodating and knowledgeable when several of my family members would "tag along" to help make sure a property was the best fit for me. She answered any and all questions, or she would research the information and then get back to me with an answer in a timely manner. I appreciated that Cristina was never pushy, she was more than willing to make offers on any house I was interested in, and when the right house came along she seemed as happy as I was about the purchase my first home." "*Bought and sold a Single Family home in 2013 for approximately $400K in Redlands, CA. * Just finished buying and selling. We worked with Cristina on both transactions. This was the second time we've worked with her and there's a reason we went back to her a second time: She knows her stuff. I thought I knew a lot about real estate from spending time on various real estate websites, but I was thoroughly impressed with her know-how. Her years of experience have taught her well! She responds promptly by phone, text, email. It became clear early on that she could almost anticipate our needs. Her advice on selling price was spot on and she helped us to get the house we really wanted even though there was a bidding war for it. I can't thank Cristina enough for her guidance during both the selling and the buying process. Should we have a need for real estate services in the future, she will again be our first call." "*Bought and sold a home in 2013 in Smiley Heights, Redlands, CA 92373. * Christina did an outstanding selling our home and helping us to purchase a new one. She was able to get us in at a very good rate and her know how of the business saved us a ton of money!" 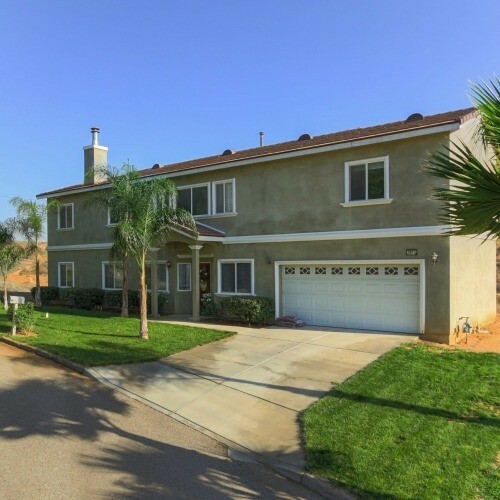 "*Bought a Single Family home in 2012 for approximately $175K in Cajon, San Bernardino, CA. 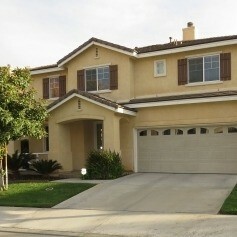 * I have just purchased a house in San Bernardino and Cristina was my agent. I was very impressed by her knowledge of the area and her expertise in get me the most bang for my buck. After seeing a few different homes that I liked, she asssited me in finding what was most important to my needs and wants. 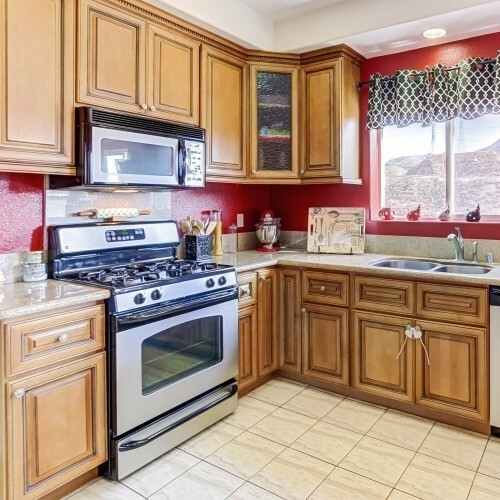 I would highly remommend using Cristina when purchasing or selling a home."